Six months ago, Noah Kagan and I sat down with Dave McGeady to run an experiment. We wanted to see if we could identify big levers that could make his business, Wyldsson.com, significantly more successful in a short period of time. In that episode we outlined 23 things that would take less than 30 days and less than $1,000 that we hoped could offer outsized results. Today we’re circling back with Dave to see how the implementation went and most exciting- what the results were. Andrew: Welcome to the eCommerceFuel Podcast, the show dedicated to help high six- and seven-figure entrepreneurs build amazing online companies and incredible lives. I’m your host and fellow ecommerce entrepreneur Andrew Youderian. Hey, you guys, Andrew here and welcome to the eCommerceFuel podcast and thanks so much for tuning into the show. And today we’re doing to follow up on an episode that I did with Noah Kagan from appsumo.com and Dave McGeady from wyldsson.com in the spring of 2017 where we tried a little experiment, and the experiment was this. How much could we really impact the business by making two to three changes that you can accomplish in under 30 days for less than $1,000? The idea was trying to identify the highest leverage points in the business, and so that’s what we talked about back in that first episode. And today we’re following up on that episode and covering three things. If you stick around here’s what you’ll learn. One, how the changes went, or how the implementation went for those three changes that Noah and I recommended, the conversion rate impact it had on Dave’s business, and some musings and thoughts and reflections on what we would’ve done differently in terms of the changes, the experiment, and just kind of the whole process. So always interesting it was fun to kind of put yourself out there, and we had no idea obviously how this was going to go and so those are sometimes the most exciting episodes for better or for worse. So excited to share with you results and talk you through the process. I hope you enjoy. Before we jump in I want to thank the two sponsors that help make the show possible. First, a big thank you to the team at Liquid Web who I used to host all of my sites and stores at eCommerceFuel.com, the private directories that we have and the private community, and the Woocommerce store that I run. And who now is offering a completely-managed solution for Woocommerce. So if you’re on Woocommerce and you’re looking for a rock-solid platform that is built from the ground up to make your store shine, look no further. Two big reasons why you’d want, the first one is elasticity. They manage traffic searches for you painlessly. So if you get on Oprah, you get on the front cover of Wall Street Journal unexpectedly, you’re going to stay in line when it’s most important even if you get hit with a barrage of traffic. And secondly, they have a whole suite of tools that help you stress test your store, really designed for store owners who want to put their store through the ringer, and they want to make sure everything is working perfectly. They’ve got a staging environment that lets you run simulations on your store as well as test out UX changes and enhancements. So to know more about them check them out at ecommercefuel.com/liquidweb. And, secondly, I want to say a big thank to Klaviyo who makes email automation easy and powerful. Of course, Klaviyo, their really killer feature is their segmentation and the data that they’re pulling, allowing you to create really customized segments to target via email. But I want to talk about quickly today their Facebook integration which maybe you aren’t familiar with. And it can do some really cool things. It’ll sync your Klaviyo and your Facebook accounts. So you can for example, if you have a segment in Klaviyo of all the people who have abandoned your shopping cart, you can take that same segment of people, create an audience in Facebook, and target those people on Facebook to try to get them to come back and complete. Same thing, maybe you have a segment in Klaviyo where somebody purchased lederhosen but not your 150-ounce Bernstein. Well, you can, same thing sync it over to Facebook and target that audience on Facebook based on the data you have in Klaviyo which is pretty cool. So if you’re not using them check them out, you can get started with a free trial at Klaviyo.com. All right, let’s go ahead and get into today’s discussion. I’m back on the air with Dave and Noah. Gentlemen, welcome back. Noah: I missed you, Andrew. Andrew: I missed you too, Noah, it’s been too long. So excited to dive in and see if Noah’s and my advice is worth anything at all. If it’s worth $5 or maybe $10 we’ll see at the high level, and see how things worked out with the changes that Dave made. And if you remember, we’ll do a little bit of flash back, but earlier this spring Noah and Dave and I got together to talk about his website, and talk about changes he should make to really try to improve his business. Let’s take a listen. So I think it will make easier if people have wrapped their minds around what you’re offering, what they want to buy, so. Andrew: Yeah, so two big things, I think it’s fair to say. Dave, how do you feel about the next 30 days, getting subscriptions turned on by default on the product page, and then really working on simplifying that homepage? Noah, would you say those are kind of maybe the two biggest? Andrew: And I think, yeah, keep it simple man. And then collect email, turn on Sumo and just collect. You have like you’re only getting 5% of people buying, that means 95% are not. Everyone is always like, “Ooh, 5% is so good.” I’m like, “Yeah, that means that everyone else is just leaving.” So, and we’re happy about it. It’s like, “Yeah I make money one out of 95 times.” Anyway, I think those three things are great; simplify homepage, subscription on default, collect some emails, you don’t have to send the email just start collecting them so when you are ready. So Dave the three things that Noah and I distilled in terms of what we were hoping you could take action in terms of the highest leverage points in your business was three things: simplifying your homepage, collecting email addresses with a pop-up, and turning on subscriptions for your product to try to get more recurring revenue. And so with that, maybe we can dive into those one by one? Let’s start with the homepage simplification. So what did you change? I got a list, maybe I can go through these and you can kind of talk about what you did and what changes you made. So, for the homepage simplification, a new headline to really incorporate kind of the idea of a speedy food plus deliciousness. Was that something that you worked in? Dave: Yeah, we changed the headline, we changed it to “Better Food Making Healthy Taste Delicious.” You know, at the time I thought it was good, really good. Yeah, I did like it at the time. I’m not sure if I like it anymore. But we can talk a bit about that a little deeper if you want. Andrew: Cool. So you did make that change on the headline. And then I noticed that the homepage looked a lot better in terms of moving all the products to the homepage from cover, buried shot page, your pictures on the clickable kind of icons, and the homepage are really showing off the food versus the packaging. So that looked great. The only thing I wondered is, we had talked about putting the Kickstarter video, because you had such a good Kickstarter video on your homepage and your About Us page, and I don’t think it made it on there. Was that something you thought about doing? Or why didn’t that make it on? Dave: Yeah, we just kind of gave up in terms of sort of cost and effort from listening to some other people’s wallet. I think the kind of amount of people who watched the video was pretty low as well, so we thought, “Well, we’ll just use a picture for the moment.” We’ve kind of never got around to actually doing that video. Andrew: Yeah, Noah I’ll let you take that. Email pop-ups and collecting emails because that was a big one of yours. Noah: Well, It is interesting, Andrew, I think you’re kind of highlighting. So Dave what were your prioritizing instead? You’re saying you’re getting busy. Dave: Well, just, all this stuff in the business as well. We had a certain amount of time to give to this project. We had to draw a line somewhere, so we said, “Okay, let’s just leave the photo out there, we’ll come back to it.” And it’s one of the things, so we haven’t come back to it yet I suppose. Andrew: Yeah, it’s one of the things I’ve noticed even in our business where it’s like, “What’s our most important goal?” And then I looked at all the different things we’re doing, and every business, Andrew’s business and mine, and everyone listening. And then it’s like, “What are the actual major things that are going to move our business?” And so I do wonder if like you, how your prioritization was around that, of what things are probably going to move your business the most. And do you think you did those over the past 30, 60 days? Dave: Yeah, yeah. Just the video, I mean, we’ve had videos before. We have videos on the side and it’s surprising how few views they have. We got to justify stuff and I just didn’t think it was something that we could prioritize at the time. But there’s a bunch of other changes that we made which I think were great. So, for example, I think both you guys had a really good suggestion, and that was, previously we’d just shown pictures of the packaging of our food, which was a shame because we’ve got some great photography shots of our foods. And we’ve replaced the shots of the packaging with shots of the actual of food in use, which kind of makes it look a bit more appetizing. Andrew: What about the go-to number two was collecting emails with a pop-up? It was Noah’s big suggestion. How did that go? Dave: Yeah, we tried it for a little while. Yeah, it didn’t really work so well. We didn’t really collect many email addresses. I just couldn’t get my head around giving an offer, like a discount code, to existing customers. Instead what I tried to do is figure out a way to offer the discount code just to new customers. And so in the end I kind of gave up on that one. Noah: One of the things I was talking with Andrew about is that we’ve gone AppSumo and it’s only from our email list, and it’s stable business. But two things I notice a lot of people say is, one, “I don’t have time to grow my email list,” or, “I don’t want to grow it.” And it’s because you probably haven’t seen results from it. And then the second part is that, “Hey, I don’t want to discount.” And so the two things that I’d be curious about is, when’s the last time that you have emailed your subscribers, or your past customers? Dave: Today. We have a very active email list. We use Intercom. Noah: And so how often are you emailing your customers list? Dave: It depends. Every week. But if they’ve purchased recently a little bit less. So if they are kind of elapsed customers, we might email them a little bit more, it just depends. Noah: I’m actually kind of surprised. So you’re saying that email list is very effective and it’s very useful for your business, but to put more things on to help collect more emails is not something you’ve been interested in? Or you haven’t been? I’m curious why you haven’t prioritized that. Dave: Yeah, I mean we did. We had the pop-up for a little while. It didn’t collect an awful lot of emails to be honest. You know, we collected some but not all that many. Couldn’t find a good way of doing that and that sort of got shelved in the end. But maybe we should just have the pop-up back again. Andrew: It’s also relative, like what’s not a lot? I guess I’m curious like, and you don’t have to do the discount. But if you’re getting, , I don’t know how many visitors like in a day you guys are getting now or a month? Dave: I’m not sure off the top of my head. I don’t know. Noah: Okay. Well, it should be generating between around 1% to 5% especially on an ecommerce business to email subscribers, which sounds like if you’re emailing them a weekly thing, which I really like, or at least monthly you’re communicating, should definitely make a difference in your business. Dave: Yeah, maybe we’ll give it another go, yeah. Maybe we will, yeah. Andrew: Get a handle up your day. Looks like you’re getting about 8,000 visitors per month. So, looking at that, you’ve got probably about 250 plus per day. So, times by 5% and what you’re looking at 10-ish emails per day, between five and 10, was that about what you were getting? Dave: No, I don’t think we were getting that many actually. Yeah, I think maybe it was a case of I was trying to find something kind of a perfect solution. In the end we kind of went with nothing. In the end we just sort of gave up on that, but, yeah, maybe we need to have another look at it. Andrew: Yeah, I want to move on, make sure we get through everything, but maybe one parting shot. And, Noah, if you’ve got one tip. I think emails can be so hugely effective, and I think maybe one thing to try going forward, is it’s only that it takes a while to get that offer right for that opt-in. I was chatting with Andy Hayes, he’s done incredibly well with blogging. His episodes have started to come out. I’ll link up to that in the show notes. One thing that he mentioned that’s worked really well is he doesn’t do discounts for a lot of the reasons you would expect. And what ‘s worked really well with him over, as he’s seen as kind of emails evolved, is just simpler offers. They have something on their opt-ins that say, “Do you want more tranquility and peace in your life? Sign-up for our newsletter.” And that probably isn’t going to work for you, but maybe it’s not a guide to refined sugars, maybe it’s something more like, “Hey, here’s the top three super easy fast recipes to eat healthy on the go.” Or maybe it’s, I don’t know what it is. But I think if you can test, everyone, there’s something that it’ll line-up and if you can test, it might take a little while but I think it’s worth doing it to unlock that email, because it’s a pretty valuable channel. Dave: Yeah, I think the problem that we got to was get them over the line and get them to purchase, differentiate between existing customers. We don’t want to send them offers because it’s just not something we want to get in to. We just couldn’t find a good way of doing that. I’m sure there’s ways of doing it, but that’s kind of the road we were going in and in the end just got frustrated and just kind of gave up. So, yeah, that’s where we got to, but maybe we’ll have another crack at that. Andrew: That’s nice. Any parting thoughts on email before we got into the last section here? Andrew: Awesome. And so the final thing that we had chatted about, Dave, was subscription. So, turning on those subscriptions by default on your product page, and maybe on a more meta level, but trying to get a sense of, “What’s your customer lifetime value? How long do your average subscribing customers remain customers?” So how did things go in terms of turning that subscription on by default for people when they added products to their page, or at least having being an option on the product page? Dave: I haven’t really done anything. We made a bunch of changes, stuff that I think is pretty good. But the subscription one was just, it’s just something that I really just could not do. I’ll explain why. We have to give a refund, a full refund, so we might’ve shift 50 stuff to them and it’s a few products, we can’t take it back and sell it again. That’s a huge cost. And customers are really angry as well because they think they’re being tricked. They think that we have subscribed them to something. And if we have subscribed by default, I just could not imagine how awful that would be. For that reason alone, I just couldn’t do that. Andrew: Yeah, and, Dave, I’m not trying to harp on all that negative. I was just trying to kind of like focus on the two or three big things, because Noah and I are trying to find that the biggest leverage points in the business. Dave: I think just from reflecting on myself, I think that a kind of subscription by default is a great way to do it because you can entice people into that model by doing a deeper discount, and I know a lot of people do that. With a physical product, particularly food, once you sent it out the door, we are actually obliged within the EU to give a refund. Andrew: You mentioned that there were a couple of other things, other good changes that you made that we had talked about on the show. What are those? I’d love to kind of dive into on some of those. Dave: Yeah. Well, I think the biggest change was using a lot more of the great photography that we have. And I think it works really well, so I think showing these food products really changes the whole vibe of the site, so I think that’s brilliant. Another suggestion that was made was that we simplify our menu. So I think that’s made it a lot easier for people to see what is it we do, and to find their way around. We also added upsells to the cart page, so when someone is checking out they can see very quickly some of our most kind of popular products. Intuitively, I think it’s a good idea. I think we could probably do a little bit more of it but definitely a step in the right direction. Andrew: So let’s chat about kind of results, if it’s actually made any meaningful change in your business. So, so when did you make a majority of the changes by, Dave? Dave: Yeah, so we actually made the changes in May, during the month of May, so kind of step by step we made most in them. Andrew: Got it, yeah. And were there any other big changes that you made between May when you implemented those changes and October like anything? You had mentioned a price increase, it sounds like that was pretty incremental. But any other migrating shopping cards, or any other major events that could have impacted this? Andrew: So, maybe we could do at a higher level, a yes-no, if you think this was successful in improving the business, and then we can dive into the numbers. What do you think, Dave? Do you think it helped the business? Noah: And don’t be afraid to throw us under the bus, we can totally take it if didn’t. Dave: Yeah, no, I do. I mean, intuitively I think that what we implemented really good suggestions, really good ideas, it was good to have external viewpoints, stuff that we probably should’ve done long time ago, but we just kind of couldn’t see anymore because we’re snow blind. Arguably, we should’ve given some other stuff a go as well. I think what we did implement was good. Andrew: Yeah, and it’s interesting doing a little, just a little more nuance on the data. This is something that it was kind of a shortcoming on my fault. I should’ve done a better job when we set this whole thing up, saying like, “Hey, here is how we’re going to determine success.” Because I don’t know about you guys, Dave and Noah, there’s a lot of times when I’ll do stuff for my business and I’ll just be kind of on alert, I’ll be like, “Oh, I’m going to do this. I’m going to redefine, I’m going to rewrite the sales page, or I want to try this initiative.” And I don’t, from the get go, set up a, “Hey, what’s winning and what’s losing?” And like, “How am I going to know if I’m successful? Am I going to roll it back if I don’t meet these criteria?” And that’s something I don’t know if you guys are better at that than I am, but I’m traditionally pretty bad about that, so on my side I should’ve done a better job of setting up like the rules of the game and how we were going to measure this for you, Dave. Anyway, quick numbers. So like May I was looking at your conversion rate because I feel that traffic is a really viable conversion rate, can tend to be a very still and perfect. But you knew a better proxy for how effective it is per visitor. May conversion for you was 3.02%, in October it was 5.29% which is a nice little jump up. Looking at your data, like January you were 5%, and then March you were dropped a little to 4.8%, and then in April, stuff fell off a cliff like to 2.91%, conversion rate down, getting close to 45%. And even digging into the traffic mix, looking at like early in the year versus April, the mix stayed pretty close to the same. Like organic was still your number one, direct was right behind it. The traffic mix didn’t change a lot but the conversion rate across all of those channels fell by close to 50%. Noah: One of my thoughts with Andrew, I think a lot of business this is happening, including our own, so it’s like, “Hey, revenue is down,” and you’re like, “Okay, it’s down.” And it’s kind like flying an airplane and things aren’t going well, and you just don’t have the right odometers. I think too many businesses actually track too many metrics, but I think for Andrew, if business is not in a growth curve, or it’s not going where he wants to go, like, “What are the key indicators that will show what exactly is off so that you can actually correct it?” So I think that’s part one, like, “What are the key things?” So, like, “Did organic traffic drop? Did paid traffic drop? Did referrals? Did you get not features like you normally do?” And figuring out what are the things that you need to be happening to make sure you held the right altitude. And the second thing, it is interesting because, on one hand, Andrew, I always recommend just move really fast and then see how things go. But, on the other hand, definitely we’ve made a lot of mistakes where we’ve made a change because we think it’s right and subsequently, like six months later, we’re like, “Wow, revenue’s been down a long time. What did we change?” And it’s because we like for Sumo.com, for instance, we made something a paid thing that used to be free. And it seemed kind of a good thing the first few weeks, but then ultimately it stalled our growth down but we didn’t see that in the big picture. And so I think you have to be kind of aware if you’re making changes that have a bigger impact than just changing some of the text on a page. Andrew: Yeah, I mean you’ve got a much larger organization, Noah. Do you have some kind of framework? Like when people do big changes, do you lean more towards – it sounds like you do – kind of, “Let’s see how it works and then refer if you have to”? Or do you kind of have…I guess what I’m asking is, are you better than I am at having a framework for making changes, determining if they’re successful and rolling them back, otherwise you do kind of wing it, kind of like I do? Noah: I do want to highlight that most of our changes don’t work. And we’ve tracked this over the years and it’s like 80% plus of our tests and optimization stuff doesn’t actually work. And so I think that’s a good message of you just have to keep trying things over a long period of time, that’s number one. Number two, what we do is that we document everything. So what happens, I notice as businesses go on, is that you lose institutional knowledge, and you lose experience, because it’s just like you start over again to some extent. So in GitHub, we track actually all of our test and the outcome, so even as new people join there’s some knowledge around those things as we’ve gone on with our business. Andrew: Dave, do you have any thoughts on like what causes so much variance in your business? Dave: I don’t, I just don’t know. I mean we do have some seasonality for sure. I think there was something that kind of affected us in April and the conversion rate but I’m not sure what it was. It’s funny, May-June we’re making these changes, and I guess we kind of felt, “Well, yeah, we’ve made some changes. It’s always going to get a bit worse before it gets better.” And probably put down any of the fall and conversion rate to the kind of work we do on the site. But I think there might have been other causes as well. Andrew: One thing that might be worth thinking about, just kind of came to me because I’m looking at the numbers, is your highest converting channel by far is referral traffic. So I’m pretty sure that’s like people that have blogged about you, or mentioned you organically, and people clicking through a link to your site. And it’s anywhere from 10% to 13% and only generates about 7% of your traffic. So going forward, I mean, probably worth diving into there, looking at who’s referring you and which of those – and it’s probably coming from, I’d say, if I’d guessed, two or three top sources – seeing what kind of audiences are coming from those top referrals that are converting at just astronomical rates and doubling or tripling down on that. Because if you’re going to move… if I was going to try to move the business, looking at that, it seems like it would be one of the best leverages you’d have. Dave: Yeah, interesting. Okay. Yeah, cool. Andrew: Noah, did you have something else you were going to say? Noah: I think one thing is that there are best practices so you can go look at some of these ecommerce sites that have done a lot of the things, or blog post about it, and you can copy it. But you also just need to be careful to check to see, like, one is this, “How you want to be?” And, two, “How do the numbers actually hold up for yourself?” We’ve had things in our email templates, we added a bunch of upsells in the email so it had a bunch more products. And at first, revenue was great but then over time we actually noticed our open rates went down, because we were like, “Oh, I’m just getting sold a lot on these emails.” So just be aware of what you’re looking at as you’re making a lot of these changes. I think it sounds like Dave that would have helped you. Andrew: Dave, going through this process and going through running your company, if I’m starting an ecommerce business, or other people are running it out, running their own out there, what kind of things, based on this experience and just in general, recommendations do you have? Dave: Yeah, I guess it’s pretty useful to get people if you don’t know your business or your products to look at your size and to ask you questions that you don’t ask yourself anymore. I think that was probably the most useful part of this exercise. Andrew: One other thought with that, it’s something I’ve been thinking a lot lately and I do it in different parts of my life, and I’m not perfect at it but definitely working on it. It’s like, do you have anyone that is like a coach, or anyone for accountability? To say like, “We checked in with you I think now it’s like three months later,” but is there someone that you have, that you can be like, “Hey, man, here are thing I say I’m going to do,” and they kind of work with you to make sure you get them done? Dave: I don’t know. No. Noah: I have like a health coach and I talk with him every week about things I’m going to eat. And I also have a business guy, he’s actually the same person where I say, “Here is what I’m going to get done this week,” and at the end of the week he holds me accountable. And if I don’t do it he just talks to me about it. He doesn’t punish me, it’s just more like, “What happened?” And I know because I have that it works for me to get more things done, or at least the things I say I’m going to get done. Andrew: Yeah, for me too. It’s really hard because, I mean, hitting all your goals, it’s difficult to get all the things you know you need to get done done. That’s like the hardest part of being an entrepreneur. And I’ve got a group of like five other guys I meet with every couple of weeks here in Boston, and we sit down, and have coffee, and talk, and part of that is goal planning. And for me, this last quarter, I didn’t hit all my goals, but there was one I remember specifically I got two out of the three that I had committed to, and one of them there was no way I would have got it done if I didn’t know that those guys were…there’s no way I could go in to them and say, “I only got zero out of three, or one out of three.” It meaningfully made me do some painful things to get all that done. Otherwise, there’s a lot, most of the stuff that I have on my plate, I probably wouldn’t get done. So that’s an awesome point, Noah. Noah: What were some of your goals? Or is that for another episode? Andrew: For that little quarter, there were three things. One was getting the Mastermind, have an internal, what I’m calling deep impact Masterminds, for our private community setup and launched, and that one I hit. My second goal was to launch an ecommerce job board by the end of the quarter, which I did not do. I just failed based on kind of, Dave, what you were talking about. Like just other stuff comes up and life gets in the way and you prioritize things and I didn’t do it. Third goal was to take each of my daughters on an overnight camping trip in our van, just one-on-one, and I did get that. So those were the goals. Well yeah, maybe kind of in a wrapping up, what do you guys think? Noah, I know you love life lessons. If you haven’t been listening to Noah’s podcast, it’s called “Noah Kagan Presents.” It’s really good. I had it in my ear the last couple of days and really good episodes. Enjoyed the one with Tynan, that one was really good. I enjoyed you, one with the guy who retired at 40. I’ll link up to both of those episodes in the show notes. Check it out, it’s a great, great podcast. But you talk a lot about like life lessons in there, so, I don’t know, maybe in kind of wrapping things up, all three of us can maybe conclude with, in a nut, to know a life lesson or big takeaway from this whole experience. I know you kind of already did, Dave, but maybe we can all do one in ending here. So, Noah, why don’t you go first, Dave, and then I’ll wrap it up with mine. Noah: Oh, no pressure. Thanks, Andrew. Come up with something, life lesson changing. So I’ve got one because it’s something that we’ve been doing and working on in our business trying to improve. And basically what we’ve been doing is called a “three-minute rule” and I think this kind of applies to Dave and myself, and I think anyone who’s listening. Basically, the three-minute rule is anything you can do in three minutes just do it now. And I think there’s a real strong life lesson, maybe it’s five minutes, or maybe you’re better than me, you can do 20 minutes or 60 minutes. But I think a lot of us, for me I know I have these stuff on my list I’m like, “Oh, I’ll get to it, I’ll get to it,” and when I finally, if it’s like fast enough or it’s just one thing I’m like, “Let’s go do it.” You could actually get it done. So anything that’s been on your list for a little while, for someone’s who’s listening, just go do it right now. Dave: Yeah, I guess it’s my turn. I have a life lesson I can share here. A life lesson should come from the place of wisdom and success. I don’t feel as if I have something that I can bring you that’s come from a place of wisdom or success. Andrew: Dave, I can softball, or I think in soccer I can give you the ball and you can score a goal. Is that cool if I just…? Dave: Yeah, do, yeah, yeah. Andrew: So it sounds like it was a little bit of a rough summer in terms of your business, so it wasn’t as explosive or life changing as maybe you wanted it to be, but what kept you motivated? Like how’d you keep going? I’d love to know that, maybe that’s a life lesson for me and for everyone listening. Dave: Yeah, I guess we did a Kickstarter campaign that failed very badly. So that was kind of our big project for the summer and it didn’t work out. Our long-term goal is what we’ve been focused on for the entire year, and that is we’re focused on making a protein recovery drink. I think we’ve, to a certain extent, kind of taken our eye off the ball. We’ve done a little bit of promotion, really nothing and we kind of paying the price to a certain extent for that at the moment. So I’m very keen on looking at the longer-term goal, looking at the big picture, and for me that’s what I think is really important for this business. Noah: I think that’s a great lesson. I think I’ll pick it up for myself. Andrew: Yeah, agreed. And, Dave, I just want to commend you two for coming on, being willing to do this. If I was in your shoes I would be scared to come on in front of people on a podcast and to give people a look inside my business, commit to making some changes, and then coming backing and being able to, like say whether they worked or not. Like that’s scary stuff, and so I appreciate, and I know, Noah, appreciates you coming over and doing it. It’s something not everyone would do. So I think it’s cool you were brave enough to put yourself out there in the public way, man, so thank you. Dave: Yeah, thanks guys for helping out. I appreciate your help. I think we did some great stuff actually. Andrew: Yeah, and my kind of my life lesson just kind of wrapping things up here is, I think it’s just important to know that this stuff is it’s easy when you’re reading a blogpost conversion Excel, and not a Higgins’ PEP. PEP is amazing. He has incredible content there, any conversion blog for that matter. That you can make changes, you can see if they work, and you iterate your business forward and it’s up into the right, and it’s very clear. And that’s just that’s not the case like in terms of how businesses grow, or even in terms of making changes in your business, or even analyzing the results of what happens. Like this stuff is messy. I mean, it would’ve been great if we could come on and, Dave, you were like, “Hey, I did all three things, bam, bam, bam,” but like all three things, like the subscription thing had some nuances that were difficult to implement, and if we could say like, “Hey, your conversion went up 60%,” so we could attribute that all to Noah’s brilliance, and a tiny bit of my help. But that’s not how life works, and so I think it’s important to be able to establish, do the best you can. Think about if you have a seasonal business, try to control for that, try to set rigid, or at least real clear measurements about, “This is what we’re going to measure. This is where we’re going to determine success.” But, at the end of the day, realize like a lot of this stuff is not an exact science. There’s a lot of squishiness and to keep moving forward despite that, I think, is an important thing to keep in mind. That’s all I got, gentlemen. This has been a lot of fun. Noah, thank you for coming on. Dave, thank you for doing this. And, again, if you haven’t checked out Dave’s products, I know you don’t ship to the US, but if you’re in Europe, they’re awesome, they’re incredible. I actually, Dave, I want to chat with you about getting more of that Overnight Oats, because those things are really good in the morning for breakfast. So check out his site wyldsson.com. We’ll link up to the show notes for that. And again, Mr. Noah Kagan, amazing podcast, good guy. Make sure you listen to him, if you’re not. Dave: Yeah, sorry just before you finish up. Yeah, we’re looking to do something on Amazon in the US. So if anyone is listening, and they’re interested in our products, have a look at our website, shoot me an email, let us know, and we will let you know when we launch on Amazon in the US. Andrew: Perfect. Great. And what’s the best way for them to get a hold of you? 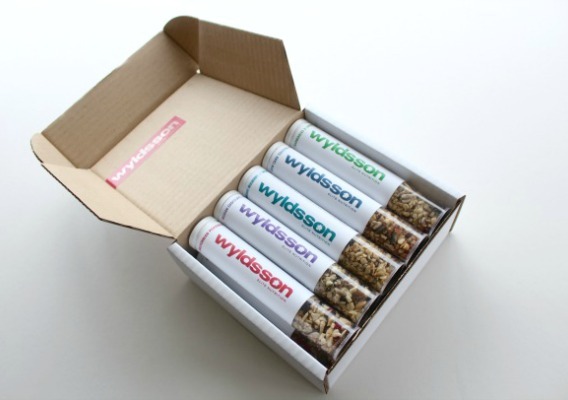 Dave: Wyldsson.com. I’ll get that and I’ll add you to a little email list, and we’ll let you know when we go live. Andrew: Perfect. Well, Dave, Noah, this has been fun, guys. Thanks so much. Dave: Thanks, guys. Thanks, Andrew. Thanks, Noah. Andrew: That’s going to do it for this week’s episode but if you enjoyed what you heard, check us out in ecommercefuel.com where you’ll find the private-vetted community for online store owners. And what makes us different from other online communities or forums is that we heavily vet everyone who joins, to make sure that they have meaningful experience to contribute to the broader conversation. Everyone who we accept has to be doing at least a quarter of a million dollars in annual sales on their store. And our average member does seven figures plus in sales via their businesses. 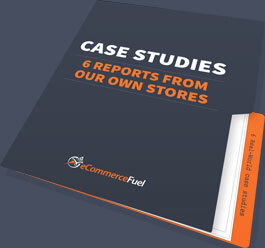 And so if that sounds interesting to you, if you want to get connected with a group of experienced store owners online, check us out at ecommercefuel.com where you can learn more about membership as well as apply. And I have to, again, thank our sponsors who help make this show possible. Klaviyo who makes email segmentation easy and powerful. The cool thing about Klaviyo is they pull in all your entire catalogue of customer and sales history to help you build out incredibly powerful automated segments that make you money on autopilot. If you’re not using them, check them out and try them out for free at Klaviyo.com. And, finally, Liquid Web, if you’re on Woocommerce, if you’re thinking about getting on WooCommerce, Liquid Web is the absolute best hosting platform for three reasons. One, it’s built from the ground up for Woocommerce and optimized by some of the best industry professionals in the Woocommerce who work in the space that really know this stuff. And it’s highly elastic and scalable as well as it comes with a whole suite of tools and performance tests to optimize your store. You can check them out and learn more about their hosted Woocommerce offering at ecommercefuel.com/liquidweb. Thanks so much for listening. Really appreciate tuning in and looking forward to talking to you again next Friday. Want to connect with and learn from other proven ecommerce entrepreneurs? Join us in the eCommerceFuel private community. It’s our tight knit, vetted group for store owners with at least a quarter million dollars in annual sales. You can learn more and apply for membership at eCommerceFuel.com. “upgrade” failed to bring over several key features the previous version had, including… REPORTING! We couldn’t run reports, other than the 2 or 3 built in reports that didn’t show much of anything. It was a real disappointment leading us to cancel our account and figure out a different solution.